So this building is sort of multipurpose. There is a Chiaki Museum, a blood donation outfit and a music concert hall. The pipe organ is said to be especially awesome. Other than that there are commercial and entertainment facilities in the building. There is a souvenir shop on the first floor basement, with some great examples of folk art, and it also sells local liqueur. The Akita Senshu Museum of Art in the building hosts travelling exhibitions, has a collection of works by artists related to Akita, and a small memorial for abstract painter Okada Kenzo. Timings given here are not verified. Please confirm before your visit. Love this? Explore the entire list of places to visit in Akita before you plan your trip. Fancy a good night's sleep after a tiring day? Check out where to stay in Akita and book an accommodation of your choice. How popular is Atorion Building? 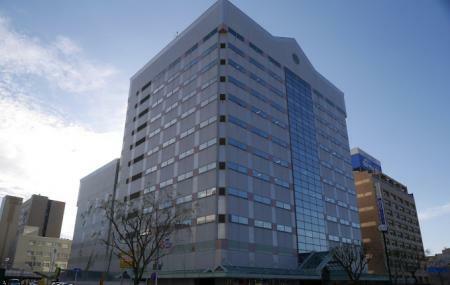 People normally club together Kubota Castle and Kaneko House while planning their visit to Atorion Building.